This guide to the cabinetwork of PP Møbler was produced in 2016 and I was given a copy when I met their sales team at 3Daysof Design so I assume that it has been used mainly to promote the work of the company at trade fairs but is actually a well-written, general introduction to some of the best furniture made by cabinetmakers in Denmark. 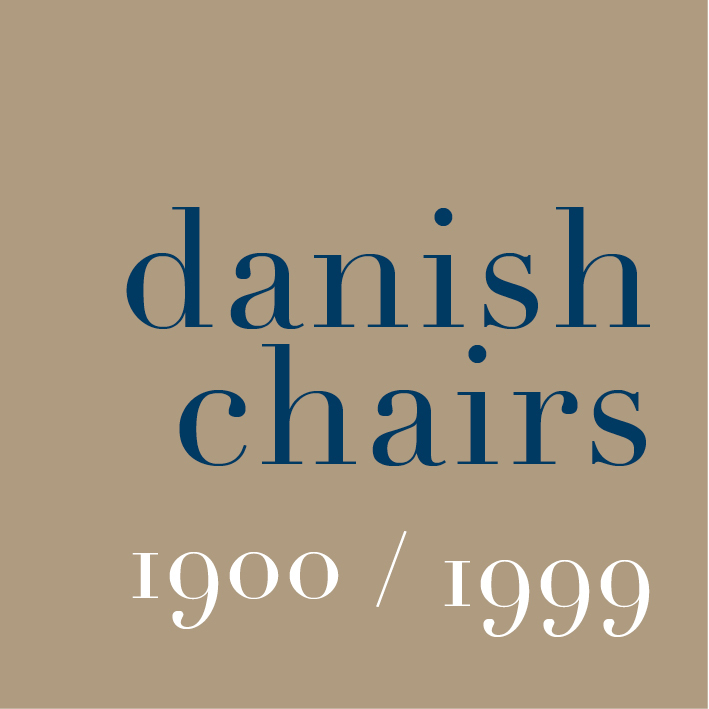 It sets out a brief history of the company and discusses their work with different designers including Nanna Ditzel, Poul Kjærholm, Finn Juhl and Verner Panton but focuses on their important collaboration with Hans Wegner. In a clear and straightforward way, it covers how timber for high-quality furniture is cut and prepared and how both traditional and new techniques are used together in the workshops to make the production of these major pieces possible and how new technology has been used to drive forward new designs and new approaches. There is a useful introduction to the main species of timber they work with - oak, ash, maple and cherry - including a brief descriptions of grain and appearance and notes about how and why the different woods are used in the production of their furniture. The company has its own woodland and in this book they make some important points about the management of trees and about sustainability. When areas of woodland are felled and then replanted, a number of trees are left to protect new saplings. Those older and larger 'shelter tree' in a woodland have a longer growth period and when they, in turn, are felled, they are the source for much thicker planks - up to 5" thick - that are used for larger or more complex and important parts of chairs like the shaped backs. Pieces are cut to shape immediately the timber is delivered to the workshop but are then left for up to two years to condition. Complicated back and arm rests, that have to be made from several pieces that are joined, are cut from the same length of timber - as mirror shapes - so that colour and grain match across the back and for tables the leaves, for an individual table, are cut from the same tree for the same reason. 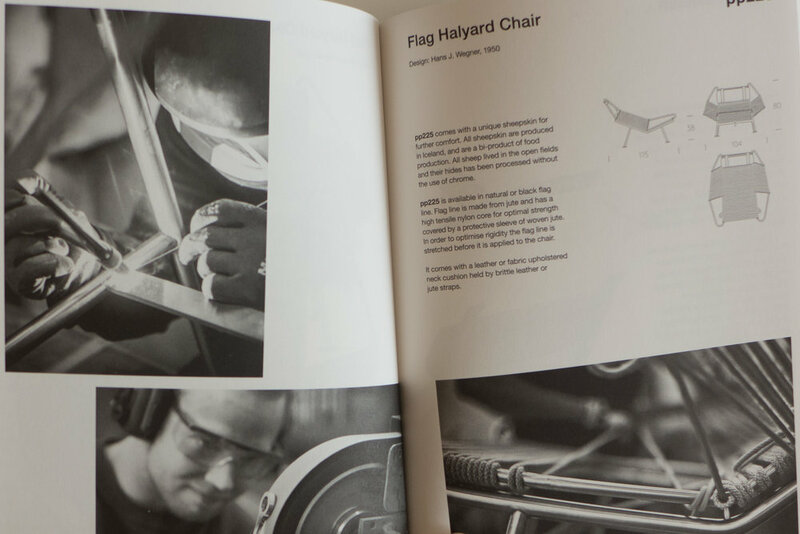 In the book there is a section or catalogue where each of the chairs has a short history of the design with an explanation of technical details that are specific or important to that piece. There are line drawings for each of their chairs; easy chairs; chaise long; benches and a stool and tables or desks and there are even useful plans to show the arrangement of chairs around each of the tables with and without additional leaves. 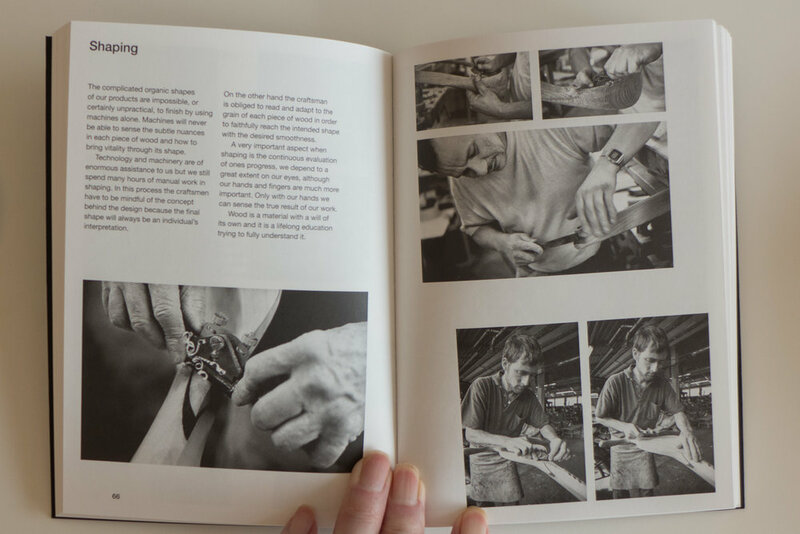 Although relatively short, the book even covers maintenance of the furniture - explaining why certain finishes are applied with advice about how the wood can be cleaned and explains why a patina, developed over the years, is important as it makes each piece personal to the owner. It is crucial that companies produce this sort of publication to engage customers but also, as schools cut back on teaching arts and crafts and as fewer people have the time or space to do woodwork themselves, it can't be assumed now that a potential buyer will know enough about wood and the techniques used in making furniture to understand why something was made in a certain way; see how a design reflects and respects the different characteristics of the trees used or understand why that has to be reflected in the price tag. Few buyers have the time or the inclination to become experts on cabinetmaking before they buy a chair but actually the more information they have then the more discerning they can be. 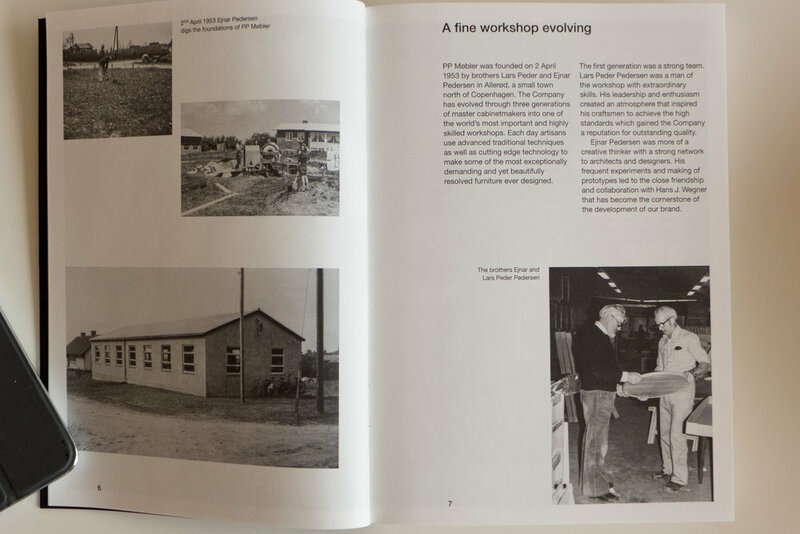 Much of this material and a good collection of photographs can also be found on the PP Møbler web site … including historic images of the workshops, images of the modern workshop equipment, with press photographs of the furniture produced and an explanation of techniques such as compression bending and the computer-programmed milling and cutting developed by the company.